Before we know it Halloween will be creeping upon us for the spookiest night of the year and if you’re anything like us, it’s one of your favourite days of the year. If you’re keen to embrace the Halloween spirit but aren’t quite ready to tackle carving a pumpkin, why not try some of these no-carve pumpkin-decorating ideas. At Mask, we love nothing more that a little arts and crafts so not only can we get a little creative this Halloween but we’ll have the best looking jack-o-lantern in London! Morbid curiosity is getting a little sweeter this Halloween! The organisers have created an edible body farm at Barts Pathology Museum where you will have the opportunity to learn about the science of decomposition while enjoying macabre consumables. The pièce de résistance; you get to dig through edible soil to exhume a full size edible corpse. 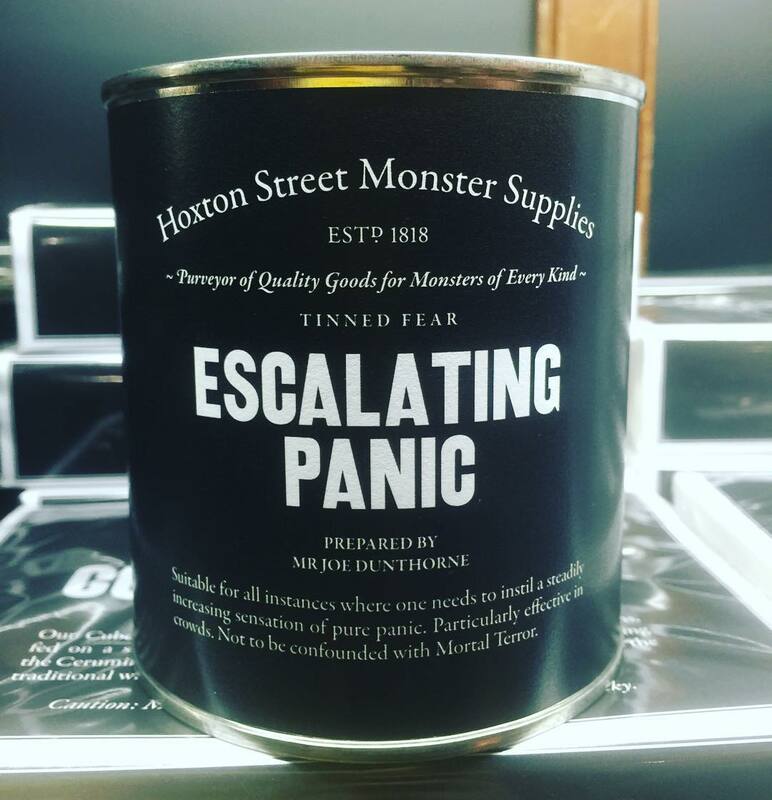 Hoxton Street Monster Supplies is London’s oldest supplier of goods for the Living, Dead and Undead. The staff are quite polite and will only occasionally bite. If you need any more reason to visit, profits from their products such as Werewolf Biscuits and Olde Fashioned Brain Jam goes to charity. This pop-up supper club hosted in a secret location bring us a special Halloween celebration in a ghostly speakeasy haunted by Jack-o’-lanterns. Guests are requested to don your finest Jazz Age Halloween outfits—ghostly flappers, spiderwomen, devils and imps, glamorous vampires, dapper wizards and coquettish witches. #MaskLoves this insanely clever piece of marketing! 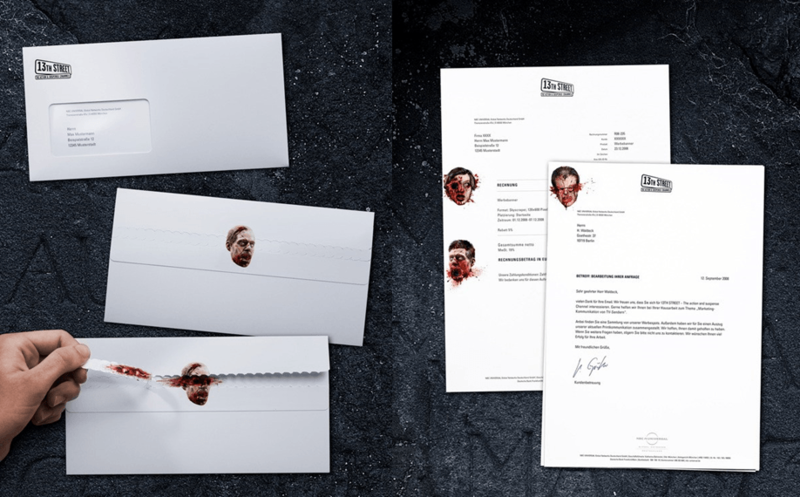 We’re not great fans of gore but when your envelope has ‘interactive’ zombie blood squirts, binder hole eyeball blowout’s and razor blade disc heads, we’re easily swayed. Design by Jacques Pense for the release of ’13th Street’. 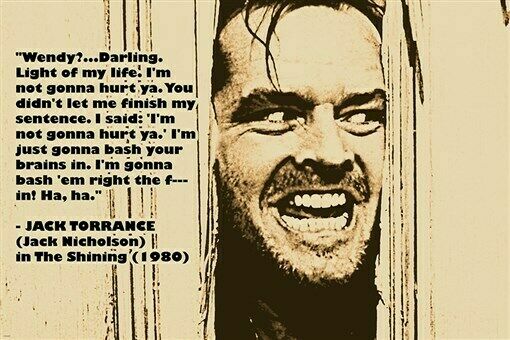 Catch two iconic horror films on the big screen: Halloween (1978), and The Shining at these special screenings by Crofton Park Pictures at the Rivoli Ballroom. If you’re looking to bring a little trick or treat to your event get in touch with us and we’ll create the perfect event, just for you. Make sure you sign up to the Mask Newsletter, designed to give you insight into how our minds work, our latest events and cultural happenings.